Unfair Wills / Blog / Family Provision Claims / What is “Bare Paternity” in Family Provision Claims? A recent decision of the Supreme Court of NSW, Kohari v NSW Trustee & Guardian  NSWSC 1080 has highlighted issues about ‘bare paternity’ in family provision claims. The matter concerned an application made by a person claiming to be a biological son of the deceased who had never really met his father. The applicant’s father divorced the mother and left the family when the applicant was very young. The deceased played no part in the applicant’s life. Evidence was put before the Court that the deceased believed his wife had been unfaithful to him and that the applicant was not his son. As a consequence of the factual dispute, the Court ordered that the son undergo DNA testing to verify his parentage (read our related article here: DNA testing ordered to verify parentage). The results of the DNA test showed that the applicant was, in fact, a child of the deceased. The applicant is therefore considered to be an eligible person pursuant to the definition of eligible persons at section 57 of the Succession Act. 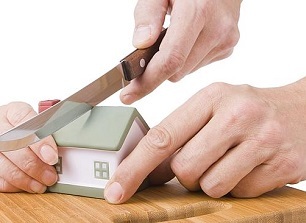 The judge reviewed evidence of the applicant’s needs and the necessary factors to determine whether adequate provision had not been made from the estate, and if not, what order for provision would be proper in the circumstances. It was noted by the judge that the applicant did not see the deceased after the deceased left when he was about 18 months old. The applicant was discouraged by various people from having any contact with the deceased, including being told that the deceased was violent and a ‘dole bludger’. Some attempts were made by the applicant to contact his father, including sending 2 letters to his father seeking to introduce himself and his family. Those attempts at contact did not result in any kind of meaningful response from the deceased. The terms of the deceased’s last will were examined, and the judge was somewhat critical of the deceased: The deceased’s refusal to acknowledge [the applicant] was not only wrong in fact, but wrong-headed. Even if [the applicant’s mother] had been unfaithful to him (and there is no evidence to suggest that she was), that did not justify the deceased’s categorical denials, which he apparently also conveyed to his parents, of [the applicant]’s paternity. He must have been aware at least of the possibility that he was [the applicant]’s father. 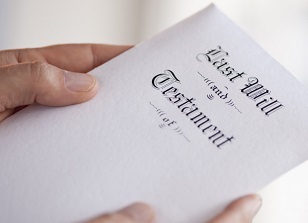 Furthermore, in his final will the deceased completely excluded other members of his family, including his acknowledged son, …, even from the benefit of the gift over should [the deceased’s spouse] not survive him. This was in circumstances where the deceased had benefited from his own mother’s estate. I am not satisfied that the deceased, in making his 2011 will, gave any proper consideration to whether his relatives should benefit after adequate provision had been made for [the deceased’s spouse], and he clearly did not consider [the applicant] at all. The judge also identified the application as being, for practical purposes, a ‘bare paternity case’. He explained his reasons as follows: As I have noted, [the applicant] has no memory of the deceased, having been only 18 months old when the deceased severed his relationship with [the applicant] and his mother. For practical purposes, this is a “bare paternity” case. But the deceased could not escape his responsibility to make proper provision for [the applicant]’s advancement by severing all personal contact with him: Gorton v Parks at 9E-10D; Nicholls v Hall  NSWCA 356 at . The deceased may have provided something for [the applicant]’s maintenance as a child, but at no stage did he give him any assistance (financial or otherwise) towards making his own way in adult life. The deceased’s actions also caused [the applicant] to be excluded from the deceased’s family (and from the benefit which he would otherwise have presumably received under the deceased’s mother’s will). In my opinion, the failure to make any provision for [the applicant]’s advancement in the deceased’s will was prima facie not “proper”. … It is true that [the applicant] had no contact with the deceased during the deceased’s lifetime, but that was because of the deceased’s attitude. Although [the applicant] made only two attempts, on the evidence available before me he acted entirely reasonably in concluding that the deceased (irrationally) was refusing to have anything to do with him. I am not concerned by the fact that [the applicant] did not attend the deceased’s funeral: having regard to the deceased’s attitude towards [the applicant] during his lifetime, I think this is of no significance. The deceased’s obligation towards [the applicant] to provide some level of advancement turns, in my opinion, on factors which are quite independent of the existence or otherwise of a relationship between them. An order was made by the Court to the effect that the applicant receive a legacy of $100,000 from the estate. Understanding your rights and options as a testator, beneficiary or claimant can be confronting and difficult. Please contact us for a free, no-obligation discussion.